Vattenfall has officially started a decade-long public consultation into new nuclear build, which it expects to be necessary after current reactors retire. The consultation centres on Vattenfall's two oldest units at the Ringhals nuclear power plant, which have operated since the mid-1970s and are expected to close in the second half of the 2020s. Sweden's state-owned utility said that in order to have the option of replacing them with new units, "extensive investigative work needs to be carried out now" in time for decisions to be made in 2020. Existing reactors located towards the south of Sweden generate about 40% of its electricity, with hydro in the north contributing about 48%, depending on the season. Fossil and bio fuels make up about 8% and wind power in the southern tip has grown to about 2%. The continued expansion of wind power would reduce the need for replacement nuclear, said Vattenfall, but some of the current production will likely have to be replaced by baseload nuclear generation and the company has begun to engage with the public on that basis. Launching this full-scale consultation, Vattenfall's Mats Ladeborn said, "We want to engage in dialogue about a possible new facility which gives us valuable information to further analysis, while stakeholders are given the opportunity to influence the environmental impact statement we will develop." The consultation website noted: "Society's demands on a new nuclear facility are expected to be high." To replace any of its reactors Vattenfall must secure a licence from government under the Nuclear Activities Act, the Environmental Code and the Planning and Building Act. To officially start its process of consideration, Vattenfall had to purchase some near the Ringhals plant in June last year. Prior to this the company had spent about six months in quiet discussion with municipalities nearby and close to its other nuclear power plant, Forsmark. Vattenfall has four reactors at Ringhals and a further three at Forsmark. 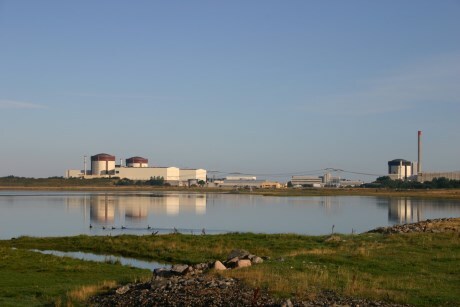 The other nuclear operator in Sweden is OKG (55% owned by EOn, 45% by Fortum), which runs three reactors at Oskarshamn. All the units were brought online between 1972 and 1985. A previous law intended to phase out nuclear power was amended in 2011 to permit the continued operation of ten reactors across existing sites and their one-for-one replacement. Ringhals 1 and 2 each produce around 860 MWe but Vattenfall is considering units up to 1800 MWe as replacements.